As the cornerstone of President’s Climate Action Plan, the U.S. Environmental Protection Agency on Monday will issue a proposal to curb dangerous carbon pollution -- the source of record heat, superstorms and sea level rise -- from existing power plants for the first time ever. The new protections will also help reduce other life-threatening air pollution including mercury, soot, and smog and spur investments in clean energy-- like solar power and energy efficiency. Governor Rick Scott could stand in the way of this important protection against unchecked carbon pollution. If we don’t make sure the Governor hears from us, we may end up with a state plan that doesn’t do enough to protect us and our future. I am a concerned Floridian who wants Governor Scott to stand up to big polluters and protect our families from industrial carbon pollution. 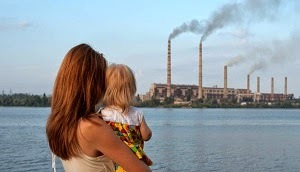 I would like the Governor to support strong and just EPA safeguards against carbon pollution!